The thing that I did was I broke down the steps and I thought how should I do this. Then I thought a seven paragraph essay. Two for the intro and conclusion. then five for all five of my sub-questions. Then I got to work. Here is my essay and I hope you enjoy reading it. Doing the research to answer my main inquiry question was a lengthy process. First, I researched computer by computer starting with the earlier one like the Apple I and the Apple II. When I was done with those I did a lot of researching for the Macintosh. 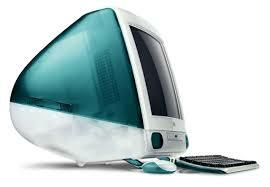 Then I researched more early iMacs like the iMac G3 and the iMac G4. When I was done researching the computers, I answered my sub-questions. Then I was ready to write my essay. The first computer Apple ever made is the Apple I. it was constructed in Steve Wozniak’s bedroom with Steve Jobs. To make the computer, Wozniak printed out a circuit board and Steve Jobs advertised the computer. The computer cost $500 but is probably a lot more now. 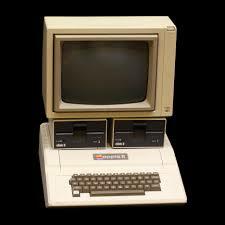 Then Apple made the Apple II, which you probably recognize (see below). It was very popular and it sold very well. It has a big block with a monitor which is resting on top of two floppy disk holders. There is a keyboard next to it. The Apple II started a computer trend and most of the next computers will look similar to it. 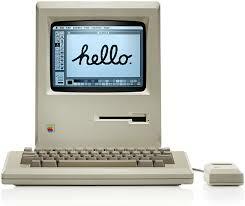 Now if we fast forward to Macintosh I, the most famous Apple computer. Sometimes people wonder why it was so good and how it made such a big impact on the world. I was wondering that too. I found out it started personal computing, it was extremely user-friendly, it had many uses, and it was not that expensive. Those are the big reasons why it was famous. The Apple IIGS can make sound and it had better graphics other than that it was a waste of money to make because it never got advertised and not that many people knew about it. So they didn’t get that many buyers. Another bad computer that they made was Macintosh II. 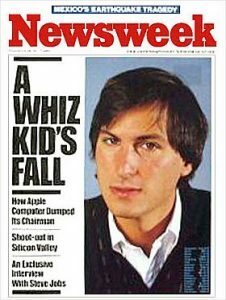 There was nothing crucially different from the Macintosh so no one really bought it. Apple wasn’t doing well so they rehired Steve Jobs. Then Steve Jobs made the computer which saved Apple, the iMac G3. 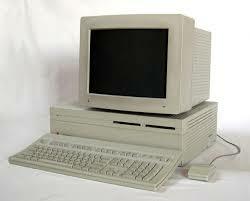 This is the computer which saved Apple. Some of you might recognize this computer. It is a light colorful shade of blue and round. 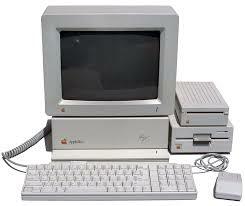 It was there all in one computer which was the biggest hit from the Macintosh. In addition, this is when computers stopped using floppy drives. The computer was so good they carried it for 5 years making new colors and new additions for the same computer. After 41 years of Apple Inc. evolving and creating new computers and personal computing devices they certainly have changed from small wooden typewriters to high-performance laptops that can do almost everything. How do you think Apple can evolve even further in the future? Kids today are so lucky to have access to computers and the internet. My first iMac, which was also my first laptop computer, was the one Scarsdale allowed me to use when I first started teaching in the district. That was in 2009, only eight years ago this upcoming September. Since then I’ve gotten an iPhone and an iPad. Thank you for teaching me so much about Apple’s evolution and the important events that have shaped the company’s success.